587-409-2999 (local number) Quick question? Get an answer during library hours. Your regular texting rates apply. We are available to chat online during Chat Hours. Our Chat transcripts are stored securely on the chat provider's server (Libraryh3lp). Chat interactions are being used periodically to evaluate the quality of this service and for statistical and research purposes. All transcripts are deleted after 1 year. With any questions or concerns about this policy, please contact Sharon Murphy. or if you are a distance student call	1-800-207-0172 or call 780-679-1156 for Augustana main desk. 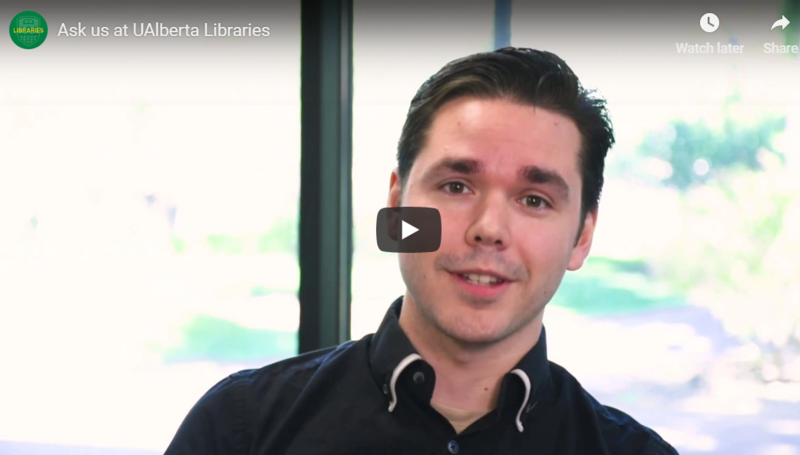 Use our email form to ask a question about the Libraries or your research. Drop by any Library service desk during Library Hours. Meet with with one of our expert librarians. Subject librarians collaborate with faculty and students to develop services and collections. Have a comment or suggestion ? Found an error ? Let us know.